Dr. Rong-Fang BIE is currently a Professor at the College of Information Science and Technology of the Beijing Normal University. She received her M.S.degree on June 1993 and Ph.D degree on June 1996 in Mathematics from Beijing Normal University. She was with the Computer Laboratory at the University of Cambridge as a visiting faculty from March 2003 for one year. She is the author or co-author of more than 40 papers. Her current research interests include Internet of Things, database application and data mining, computational intelligence, software reliability engineering, model theory and logic application. Dr. Shengling Wang is currently an associate professor in College of Information Science and Technology, Beijing Normal University. She received her PhD in 2008 from Xi’an Jiaotong University. After that, she did her postdoctoral research in Department of Computer Science and Technology of Tsinghua University. 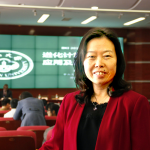 Then she worked as an assistant and associate professor respectively from 2010 to 2013 in the Institute of Computing Technology of Chinese Academy of Sciences. She has published about 40 papers including many international top journals or magazines, such as JSAC, TON, TPDS, IEEE Wireless Communications, IEEE network and so on. Yunchuan Sun is currently a professor in Beijing Normal University, Beijing, China. He acts as the Secretary of the IEEE Communications Society Technical Subcommittee for the Internet of Things from Jan. 2013. He is also an associate editor of the Springer journal Personal and Ubiquitous Computing . He received his PhD in 2009 from the Institute of Computing Technology, Chinese Academy of Science, Beijing, China. After receiving his Master of Engineering from the College of Information Science and Technology of Beijing Normal University in Beijing, 2003, he worked as an assistant professor at Beijing Normal University (2003-2016) and promoted to professor in 2017. His research interests include Internet of Things, Semantic Link Network, Big Data, Knowledge Representation, Information Security, and Business Models for the Internet of Things. In recent years, he has successfully organized several special issues in some international journals like Springer Personal and Ubiquitous Computing, Elsevier Journal of Networks Computer Applications, and etc. He also holds or participates in several research projects from NSFC, 863 Program of China, and etc. He is now being served as the lead guest editors of two special issues of international journals Personal and Ubiquitous Computing (ISSN: 1617-4909, SCI IF=1.137) and Automatika (ISSN: 0005-1144, SCI IF: 0.108), and he has served as co-chairs for several international conferences and workshops, also program committee member and reviewer at many international conferences and journals, and has been participating in several national research projects. He is also in the Editorial board of Journal of Personal and Ubiquitous Computing (ISSN: 1617-4909, SCI IF=1.137), Next Generation Information Technology (ISSN: 2092-8637) and International Journal of Digital Content Technology and its Applications (ISSN: 1975-9339, EI-indexed). He has published more than twenty papers on several international journals and conferences. Dr. Junqi Guo is currently an associate professor at the College of Information Science and Technology of the Beijing Normal University. He received Ph.D degree on July 2010 in Wireless Communication from Peking University. He is the author or co-author of more than 20 papers, some of which have been indexed by SCI and EI. His current research interests include Internet of things, wireless sensor networks, 4G mobile wireless communications, signal processing and embedded systems. Dr. Shenling Wang is currently an associate professor in College of Information Science and Technology, Beijing Normal University. She received her M.S. degree on June 2007 in Mathematics from Beijing Normal University and Ph.D degree on February 2012 in Mathematics from Nanyang Technological University, Singapore. She has published more than 10 papers. Her current research interests include computability theory and logic application, data mining,internet of things, knowledge representation. Dr. Hao Wu is currently a postdoctoral research fellow in College of Information Science and Technology, Beijing Normal University. He received the B.E. and Ph.D. degree from Beijing Jiaotong University, Beijing, China, in 2010 and 2015, respectively. From October 2013 to April 2015, he worked as a research associate in Lawrence Berkeley National Laboratory. Until now, he still takes charge of some related research projects in Lawrence Berkeley National Laboratory. He joined Center for Big Data Mining & Knowledge Engineering in December in 2015. He has published about 20 papers including many international journals or magazines, such as neurocomputing, the visual computer, multimedia tools and applications, journal of visual communication and image representation, IET computer vision and so on.